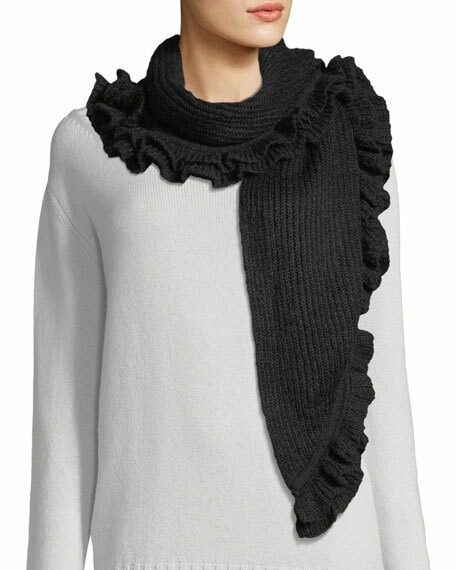 Rebecca Minkoff "Ruffle Muffler" scarf. Rebecca Minkoff began her career with a five-piece apparel line in 2001, introducing handbags in 2005 to enormous acclaim (she re-introduced a ready-to-wear collection in 2009). Her designs reflect a casual and playful style with an understated edge. For in-store inquiries, use sku #2339784.